Inter-Ex is like wine: not every year is equally good. The vintage 2003 though is something special. It was already the 18th time that this event for experimental models, propulsion, materials etc took place. This time the place to be was Nederweert in Holland. The airfield of the MVC Neederwert is situated 25 km behind the German border, roughly on the same height as Mönchengladbach. On Friday we left for the 650 km drive and arrived at 4 pm. After a quick and easy ride with our RV it started to rain straight after we crossed the border. But by Saturday morning the sun was there again. 25 degrees and a warm breeze made this an Inter-ex like we haven’t had it for years. The Inter-Ex has its own laws and rules. Anything that’s fun and special can be flown, be it a lightweight slow flyer or a big plane with a jet engine. The only difficulty lies with the jury, having to evaluate these different approaches. More to that later. We started straight after the briefing, in a loose sequence: when your channel is available you get on the airfield, which has a beautiful lawn and a concrete runway. There’s a wood to the West, which sometimes can cause turbulences. To the East a few tall trees have to be watched, very graphically demonstrated by Eddie Eiblmaier with his SR17 Blackbird. Due to the general wind direction this wasn’t to big a problem this year. It’s good to have such an international event with pilots from all over Europe. Discussions were in a mixture of German, Dutch, English and French. “Official” language was Dutch and German. It’s this mixture that makes Inter-Ex so unique. You hardly meet as many crazy pilots on any other event. But let’s get to what is most interesting to us: what was on show. You can see that from the pictures, I only want to mention the highlights which also received prizes. 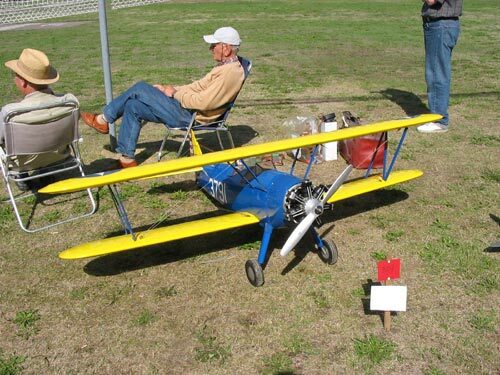 The trophy for mechanical wit, called the Wim-Hoek-Wisselbeker, went to Ton Ron who used his self-built 7-cylinder star engine and four in-line engine for his biplanes. The sound was music to the ears, the flight demonstration something to have seen and the technical details a joy. We all know the cooling problems with these in-line engines, as the rear cylinder has to suffer the heat of the other 3 cylinders. In these case he used a thermostat to control a servo, operating a vent on the left-hand side of the engine hood. As the original had the hood on the left-hand side, cooling wouldn’t have been ideal for a right-turning engine, so the motor was built as left-turning. 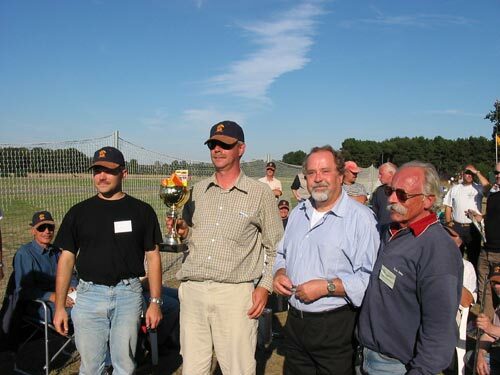 The trophy for special propulsion went to Appie van Moorst for his Focke Achgelis FA 61, an early helicopter with lateral counter-spinning rotors. 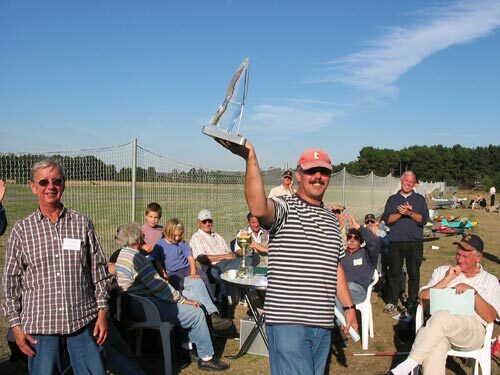 Only for the Dutch participants is the Theo-Gordijn-Ornithopter trophy. This prize is given every two years to the person achieving the best results in bird-like flight. 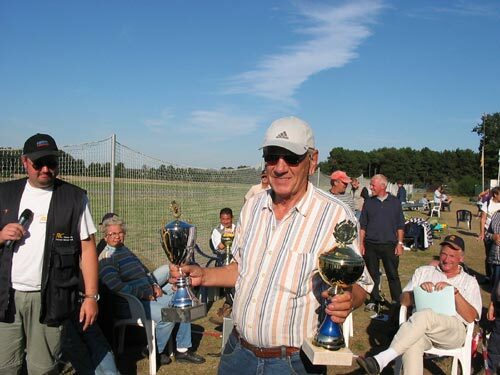 As no-one showed up two years ago, this was the first time this millennium that the trophy was handed over. 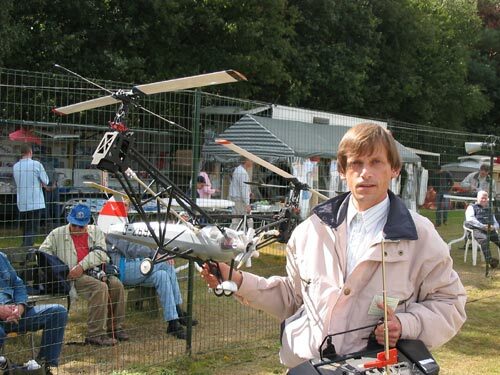 It went to Theo Coenen for his model Flappy. 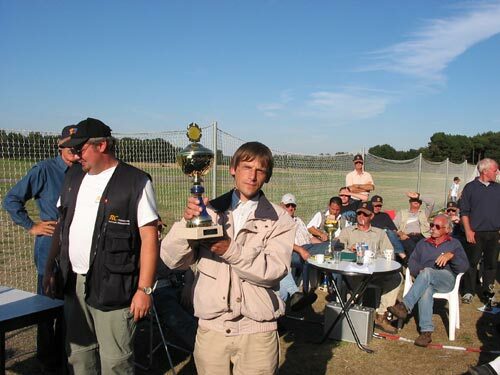 The record set by Albert Kempf from Lion in 2000 wasn’t reached, but Theo Coenen really deserved this trophy for his enthusiasm and determination. Another Dutch team, honoured for extraordinary achievement, is the team of Eric van den Hoogen. 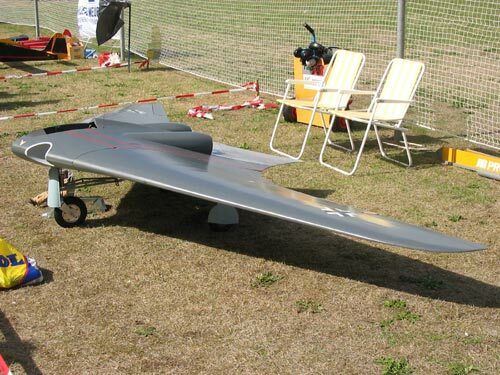 The trophy was for the Horten IX 1:3 scale with a wing span 4,2 meters. 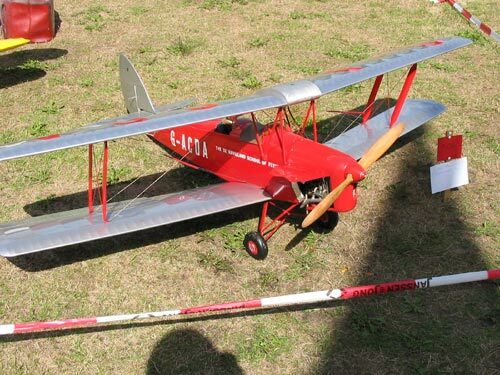 This plane, having been presented on flight shows for the last 3 years, was flown and presented in an unequalled perfection. Start of the engines, flight and cool down always is done by the whole team, following a check-list. The plane, equipped with two AMT-turbines, has a sound and an appearance the always caused the audience to cheer. Since the problem of hopping during landings has been solved Eric shows how good he is with those controls. 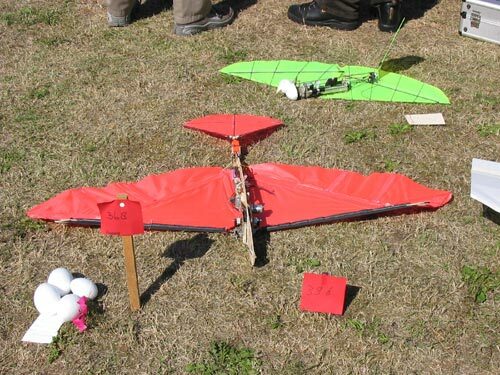 The problem was solved by an interesting approach: a flying wing needs a different degree for take-off and landing, so now the scale front wheel can be fixed in a second position, to reduce the angle from 18 degrees to 10 degrees for landings.